(40) — He’s Steve Jobs and Elon Musk rolled into one. Fred Chyre (50)— “out of shape” would be a kind description. Clyde Mardon (late 20’s, cold) — our episode’s villain. Despite being a main character, Hartley was removed from the pilot entirely. His lines are split up between Wells, Caitlin and Cisco. Hartley had the most background and was the most fleshed out character of the Star Labs team (besides Wells): we learn he’s homosexual, lost his hearing in the accident, and is a sarcastic know-it-all. Clearly there were big plans for him which goes to show you sometimes you need to cut characters. Hartley would later appear in the series as a recurring villain. Eddie was originally written as a jock cop, who Iris initially thought of as a jerk. However Eddie is never portrayed as a jerk. 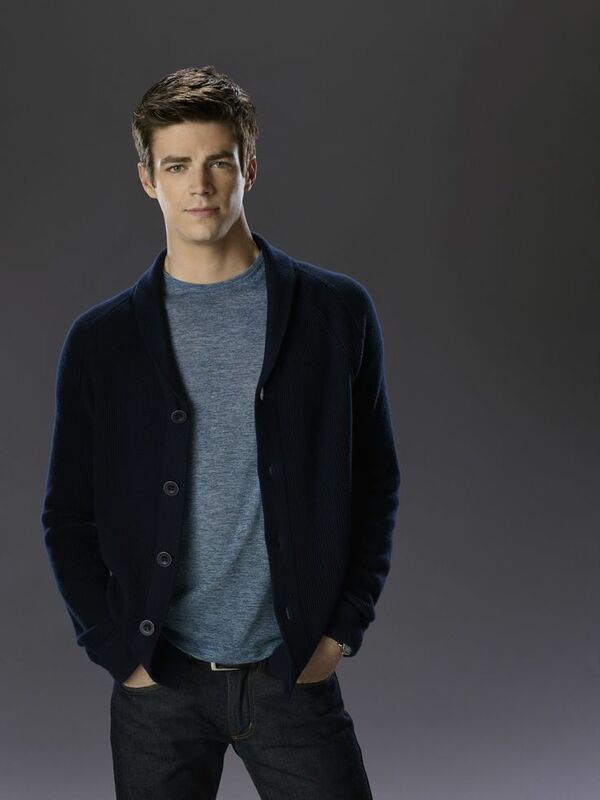 Barry Allen is the main character so I will be focusing on him. Act 1 introduces us to Barry and his family in his normal every day life before he gets powers. 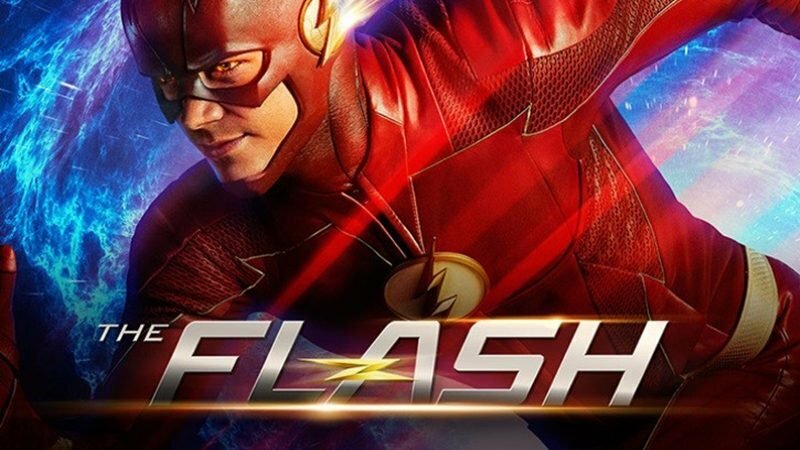 The entire flashback sequence of Barry getting beat up and then seeing his mother murdered is put at the beginning of the episode after a few shots of Flash speeding through the streets. It was originally broken up and spread throughout the episode. The scene of Joe getting angry at Barry after he is late for work is cut. Iris is introduced right away to Barry instead of her strolling through the police station with donuts. Barry’s mom is murdered when he is a child. Barry showcases incredible forensic skills. Barry gives Joe a lead on the bank robbery. Barry goes to see his hero but ends up injured after trying to stop a thief. Barry is struck by lightning and hospitalized. The first act shows what life is like before Barry receives his powers. 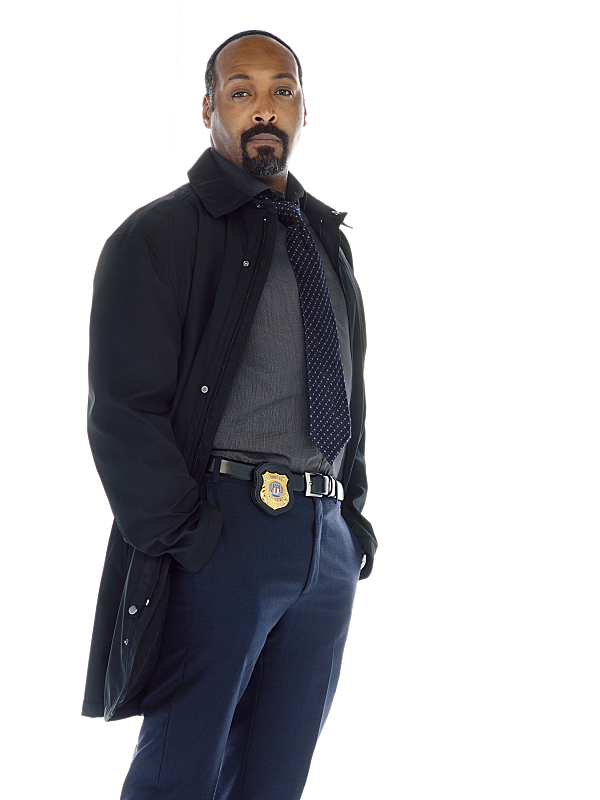 He is shown as a highly skilled CSI and is interested in Harrison Wells’s work on the particle accelerator. Barry’s foster family is supportive of him and trying to help him reach his potential. Joe tries to cover for Barry when he’s late and Iris accompanies Barry to the Particle Accelerator unveiling even though she has no interest in science. Just like in the comics, Barry is known for being slow and late, highlighted here by being late to the crime scene. Iris, Barry’s Lois Lane, is introduced as a potential love interest, but due the unique nature of their relationship, Iris only sees them as brother and sister. We are also shown what happened the night of his mother’s murder to give us insight into to what drives him. That night remains important throughout the series. The accident scene was also shown in the show Arrow to set up this series. Barry is hospitalized after being struck by lightning. Barry is hospitalized after being stuck by lightning. Best Scene: Barry is struck by lightning giving him his powers. The flash origin is exactly like the comics with Barry being struck by lightning and doused in chemicals. In the pilot, as Barry is examining the crime scene, it is illustrated what he sees. (For example, tread marks from a car are highlighted) This is not in the screenplay and never seen again in the series. Once he gets super powers, he doesn’t really do much CSI work. Barry’s entire scene with Joe getting angry about him being late is cut and summed up with Iris asking Barry if his trip to Starling City was worth getting Joe angry. In the scene where Joe asks Barry why he was late, a girl who could defy gravity was mentioned in the screenplay. In the pilot, the scene was shot but cut, and instead of a girl who could defy gravity, Barry was investigating a man who could talk to fish. Eddie’s lines are cut so he isn’t depicted as a jerk. As the TV REPORTER warns of danger— The power goes out. A Shelby Mustang is used instead of a corvette. Obviously advertising determined the car, so don’t stress over which vehicle your hero uses. Every minor speaking character is introduced including generic characters like Paramedic. Paramedic is capitalized and they are numbered. Act 2 introduces us to the Star Labs team and the meta human of the week. Barry also discovers his powers. A scene of Clyde Mardon robbing the bank is added to showcase his powers. The scene with Barry realizing he is fast in his lab because he’s moving at 1/10 of a second on camera is cut. Instead he just runs outside and his hand starts vibrating. As mentioned before, flashback scenes are cut. Barry wakes up from a 9 month coma and meets the star labs team. Barry reunites with Iris and Joe. Barry discovers he can run fast. The second act immediately introduces us to the new team of Cisco, Caitlin and Dr. Wells. Cisco is the gadget maker, Caitlin is the doctor and Wells is the mentor. The main set of Star Labs is also introduced. The meta-of-the-week is also reintroduced showcasing his power in one scene to show how powerful he is. Barry reunites with his family and they are happy to see him alive. Barry learns his powers relatively quick (pun intended), so we don’t waste much time and can focus on continuing to build the world and character relationships. Barry crashes into the laundry truck. Flashback of Barry finding his mom surrounded by lightning in his living room. Barry uses his powers in the police station. Barry discovers Chrye is dead. Barry discovers the Mardon brothers are dead. Barry uses his powers to stop a criminal from pulling a cops gun. Although 3 Gorillas were hinted at in the screenplay, only Grodd’s cage made it to the pilot. There is a death count given in the pilot. In the screenplay, Barry sees time slow in the police station and a criminal attempting to grab a policeman’s gun before time speeds back up and the cop stops the criminal. In the pilot, Barry actually stops the criminal from grabbing the gun. It’s shown in fast time instead of slow time. The entire scene of Barry discovering his power in both the lab and in the alley is condensed into one scene where Barry runs fast and crashes a few times before taking off and crashing into the laundry truck. Sometimes less is more effective. In the pilot Barry is happy to discover his powers. In the screenplay, Barry drifts unconscious and a flashback is shown. Act 3 has Barry learning more about his powers and his first encounter the with the meta human of the week. Flashback scenes are partially cut. Instead Barry still sees a flashback, but it shows his POV of seeing a man in yellow amongst the lightning. The detectives are talking to witnesses at the police station instead of the bank. Because we have already seen Mardon use his powers in a previous scene, there was no point of having Joe and Eddie discuss the weather ravaged crime scene. The final scene of the act ends after the car crash instead of Barry standing in the fog anticipating the crash. Barry discovers Iris and Eddie dating. Barry tries to stop the bank robber, Clyde Mardon. The third act has Barry discovering his powers by working with the team from Star Labs. 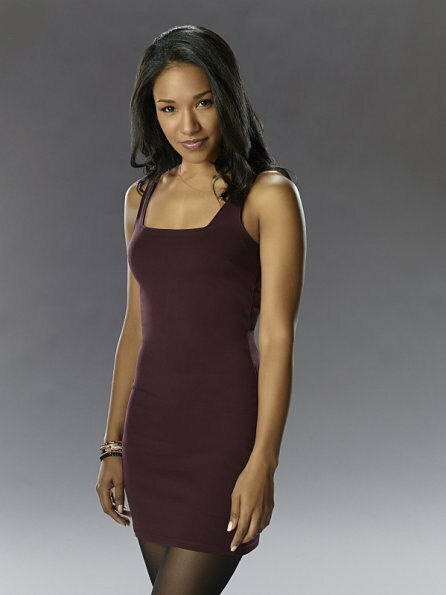 Barry also discovers Iris is dating Eddie which creates relationship drama as it is clear, Barry is jealous. It’s always important for the hero to encounter the bad guy at least once, and have him get away. Barry stops Clyde Mardon during a cop chase, but he still gets away after killing another driver with his fog. Barry realizes even with his powers, bad things can still happen. Seeing Clyde also suggests there are more people with super powers which leads Barry back to Star Labs. Barry dodges a car as it crashes and kills the driver. Barry hears a car coming in the fog created by Mardon. Great action scene showcasing Barry’s power. Cisco explains that Barry is moving so fast that the world is standing still instead of Barry discovering that himself in the previous act. It’s not mentioned in the screenplay, but when Barry has a flashback while he is running, the Reverse Flash is seen outlined in lightning. A second cop car crash was cut from the chase scene with Mardon. The action sequence on page 47 provides a great example of continuous action transitioning from scene to scene. Act 4 gives Barry obstacles and a low point. Oliver Queen is used to give Barry inspiration. Flashbacks of the team celebrating before the explosion are cut. Barry is upset he let someone die. Barry gets into a fight with Joe about his mother’s death and seeing Clyde Mardon. Barry doesn’t receive help from Star Labs to help track down Meta Humans. Barry visits Oliver Queen for advice. Although he has super powers now, Barry needs his family and friends to believe in him. Both Joe and Wells, two people he respects and admires, tell Barry to grow up and stop trying to be something he’s not. The only hero Barry has left is Oliver, who based on his own experiences, is more than happy to inspire Barry to be a hero. Oliver inspires Barry to be a hero. Joe telling Barry to stop looking for the impossible and accept the truth. Joe really sells this scene with the look he gives Barry once he starts talking about crazy theories. Can’t have a spin-off without the original hero cameo. Oliver isn’t just shoehorned in either, he is used to inspire Barry when no one else will. Barry never interacts with the dead driver, just his body bag is shown. Flashback to the night of the accelerator is cut. They probably didn’t want to cast Caitlin’s fiancé Kyle (who was later changed to Ronnie Raymond aka Firestorm). The explosion is shown on a television as an animation instead of actually seeing it in a flashback. In the flashback, Henry tells Barry to stay out of the house as he is being arrested, which added a lot more emotion to the scene. The screenplay openly points out that Oliver uses the term Flash. In the pilot, Oliver inspires Barry with the dialogue Barry uses during the voice over in the first few scenes of the screenplay. Not a script note, but the themes of both shows are mixed together with the two heroes, something DC TV universe has continued to do well. Act 5 has Barry rallying the team and stopping the meta human of the week. The scene of Barry running in his suit towards the farm is cut. A lot more intercutting than the script suggests, however that is most likely due to editing the best possible combination between the two scenes which would be hard to capture on paper. Barry convinces Cisco and Caitlin to help. Barry receives his first suit. Barry saves Joe and Eddie and stops Mardon. After rallying the team, Barry finally has the showdown with the episodes villain. First Barry does well saving Joe and Eddie. Believes he can stop the tornado but fails and loses faith. Dr. Wells then inspires him telling him that he can stop the villain. Barry uses that inspiration and defeats the villain. Barry’s power is revealed to Joe and he finally believes Barry. Barry gains the respect and belief of both Joe and Wells, something he wanted since he received his powers. Barry defeats Mardon, who is then shot by Joe. Great action sequence and the introduction of the line Run Barry Run. Barry’s dialogue restating everything about Mardon to the Star Labs team is cut because it’s redundant. Instead of rationalizing their decision, Cisco and Caitlin silently agree to help Barry. 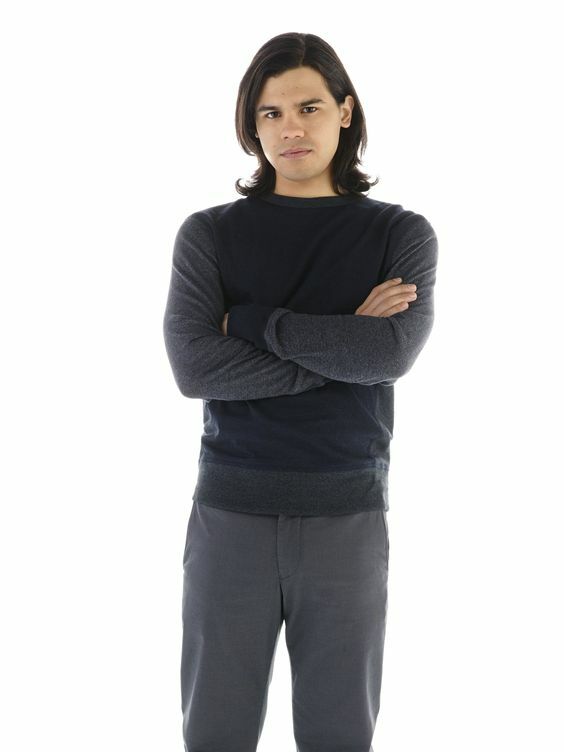 Cisco created the suit instead of Hartley. Caitlin’s fiance is not mentioned by name. In the pilot, Mardon mainly uses wind to attack Joe and Eddie. In the screenplay, he uses the wind to throw bales of hay at them. Run Barry run, a line said throughout the series, is inserted in the pilot and used by Wells. Intercutting is used in the battle sequence in the screenplay, but the pilot uses a lot more than outlined, most likely due to editing the perfect sequence. Act 6 is the resolution and wraps everything up with an ending voice over of Barry and a tag to tease us for the next episode. The scene of Joe bringing Barry home in the flashback is cut. Joe and Barry looking at the murder board is also cut. Barry saves the bike messenger near the end of the episode instead of the beginning of the episode. Joe believes Barry about his mother’s death. Joe tells Barry not to tell Iris about his powers. Barry visits his dad in prison and tells him he will find his mother’s killer. Wells looks into the future. Barry finally has Joe’s trust and belief in him, but now has to hide his powers from Iris. Barry confidently tells his dad that he will find his mother’s killer because he now has the super powers to do so. Wells scene is a great teaser giving the audience some dramatic irony and building mystery around his character. 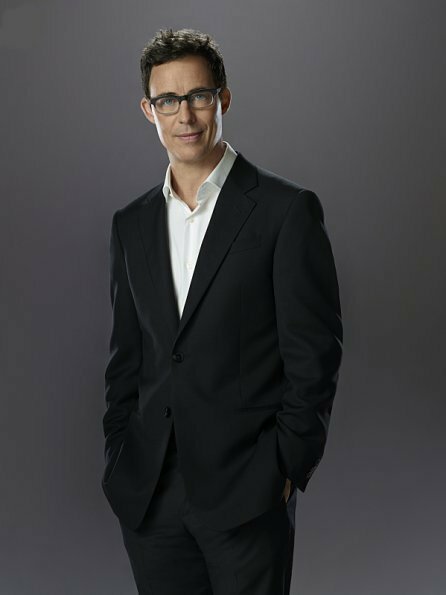 Harrison Wells looks into the future. Not only do we see Wells stand up and walk, but we see him look into the future and hint at Batman. A few of Joe’s scenes are cut or condensed and that is a credit to Jesse’s Martins acting. There is no need for more exposition because he successfully conveys all that needs to be said. Look at the scene where Barry tells him Mardon is alive as an example (seen above). West reacts — not this, not now. In the screenplay, the newspaper from the future doesn’t have any specific headlines. Overall The Flash screenplay and pilot are very similar with a few slight differences. Removing Hartley from the pilot didn’t really undo any of the plot because Hartley and Cisco were basically one role split up into two characters pulled from the comics. The writers opted to just use one and Cisco was chosen. The six act structure was most likely due to the CW network. However if you are using a teaser, it’s essentially six acts. The flashbacks were layered in throughout the screenplay, but in the pilot they are presented in a more coherent and straightforward manner so it doesn’t keep pulling you out of the present day story line. Most of the scenes and dialogue cut were redundant and conveyed information the audience already knew. It’s interesting to note several of the Easter eggs and additions to the pilot that were cut but used later in the series. (For original screenplays, this could also include hints at future story lines). For Easter eggs or hints at future story lines, it doesn’t hurt to keep it in the pilot if it’s something like a throw away line or lingering shot on something (green lantern, which was cut) or (Grodd, which was kept in and used later in the series). It shows you have ideas to build off and a plan for future episodes. 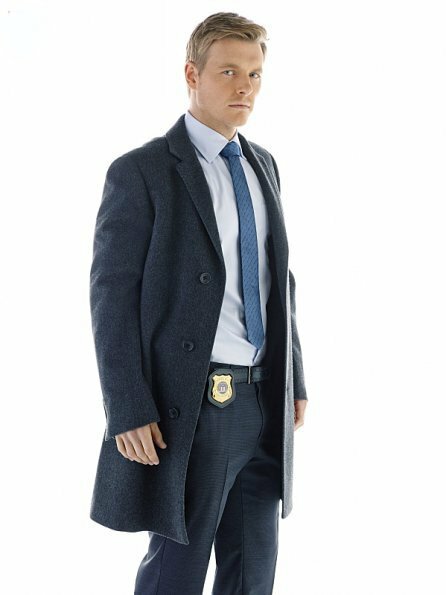 Hartley is an interesting case because he seemed very important to the episode yet he was easily removed. The question is do you keep a character or cut them. The only advice I can give is think about the characters importance and if two characters are providing the exact same purpose (Cisco and Hartley). Obviously the writers felt Barry’s team was overcrowded and cut him. (The decision was probably between Cisco and Hartley because Caitlin added a female presence and according to the cast sheet before the screenplay, she had already been cast). Starting without proper scene structure. A few scenes located on pages 1 and 19, showcase how to open without a proper heading. Keep in mind this is more of shooting script than a third draft pilot, so this technique is better used in the advanced stages of your script. Flash communicates with his team, and this allows for a lot of intercutting between the two parties. On pages 49-52, you will see an example of intercutting as Barry fights the main villain. The pilot combines and shows the flashbacks in one sequence. However the screenplay tires to layer the flashbacks into the story. If you’re wondering how to write flashbacks or work a present scene into them, a few examples can be found on pages 27-28 and 31-32. The show has a knack for explaining complex scientific topics using a whiteboard and a simple diagram. Basically an ELI5 of complex scientific topics using circles on a whiteboard. If someone is in the main fight scene and they don’t know the Flash’s identity, they will most likely be knocked unconscious so they don’t find out. The particle accelerator explosion created plenty of metas for Barry to take on, most of them pulled from the comics. Part of creating the drama of a superhero show is concealing the identity of the hero from a few people. This builds the tension and creates a great scene when that person, Iris in this case, finally finds out. Some people find the amount of time dragged on before telling certain characters and the reasons used for not telling them can get annoying. Smallville used the secret identity effectively for the most part as did Arrow, so it can be a hit or miss. Both Arrow and The Flash use tag scenes effectively to make viewers excited for the next episode. Being a DC property and based off a comic book, there are plenty of easter eggs for fans of the comic and of the show Arrow. Grodd and Green Lantern are just two examples of easter eggs that comic book fans appreciate. Thanks for reading. Please let me know anything you would add or take away. Anything you didn’t like or felt was unneeded would also be helpful and preparing the next one. Can you review the Fargo season 1 pilot?